Highly pure ß-1,3/1,6 D-glucan demonstrably promotes natural defences of the organism. We have added vitamin C to enhance its effects. We recommend using it together with medicinal mushrooms. BetaGlukan BIOcell is a natural ß-1.3/1.6 D-glucan, which is obtained by modern technological procedures from Sacharomyces cerevisiae yeast. MycoMedica BetaGlukan BIOcell- special procedures make it possible to achieve high purity of at least 80%. Due to this it’s already effective 2 hours after administration. The added Acerola (the strongest natural source of vitamin C) increases the efficacy of betaglucan. In the world, extracts from medicinal mushrooms are often administered together with pure betaglucans in order to enhance the effect. They work synergistically and without negative side effects. 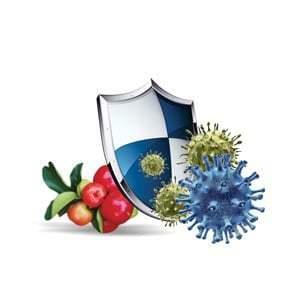 View a study of German scientists on the effects of beta-glucan to enhance immunity here. In practice, it’s used at a lower dose or as a support for medicinal mushrooms or at a higher dose for acute conditions.